Welcome to my 2015 Friday Fashion and everything stylish. During the past holidays I left the Internet for a couple of weeks to detox from electromagnetism and got a chance to watch the world and T.V. One night on PBS there was a story on Asprey, a luxury store in central London on Bond St, the epitome of luxury goods that attracts the wealthiest people in the world, nobles and royals alike. All jewelry is made on the upstairs quarters where a hand full of artisans work on exceptional masterpieces that only the most fortunate people will wear. There, also they produce stunning gold or silver figurines that will embellish ice buckets and many other home décor objects like these two silver salt and pepper figurines set in the photo below. The price is £7,000 British Pound each and they will make a stunning appearance on someone’s dining table in Houston, Texas, so it was said during the show. (Photo above was taken from my TV while watching the show dedicated to Asprey store on KQED). The store doesn’t care to sell mass-produced luxury goods, there, everything is hand-made keeping an old fashion business alive in a modern world. Asprey became its activity producing elaborate dressing cases and not as a jewelry store, but during the course of the century jewelry became the most important part of the store trade, their clients come from all over the world to buy into the British luxury. “If you have to ask how much something costs, you probably can’t afford it”. In the T.V. story, something really struck me. It was the handbags private collection, made exclusively for Asprey in crocodile, with 18 Kt gold clasps encrusted with diamonds. The lowest price of the stunning handbags started at £33,000 and went up to £80,000. The price wasn’t necessary based on the size of the bag, a simple pavé bag could have been easily priced at £80,000. Asprey’s clients buy scarcity, exclusivity, knowing there is only one in the world of that particular item they want. That’s what the sense of luxury is all about. (Photos above were taken from my TV while watching the show dedicated to Asprey store on KQED). A lot of planning went on behind the scenes. Asprey planned a month to sell all the handbags by inviting royals and wealthy people of the Middle East to a lavish tea. The store management was sure some of the powerful clients would have bought at least 3 or 4 bags each. 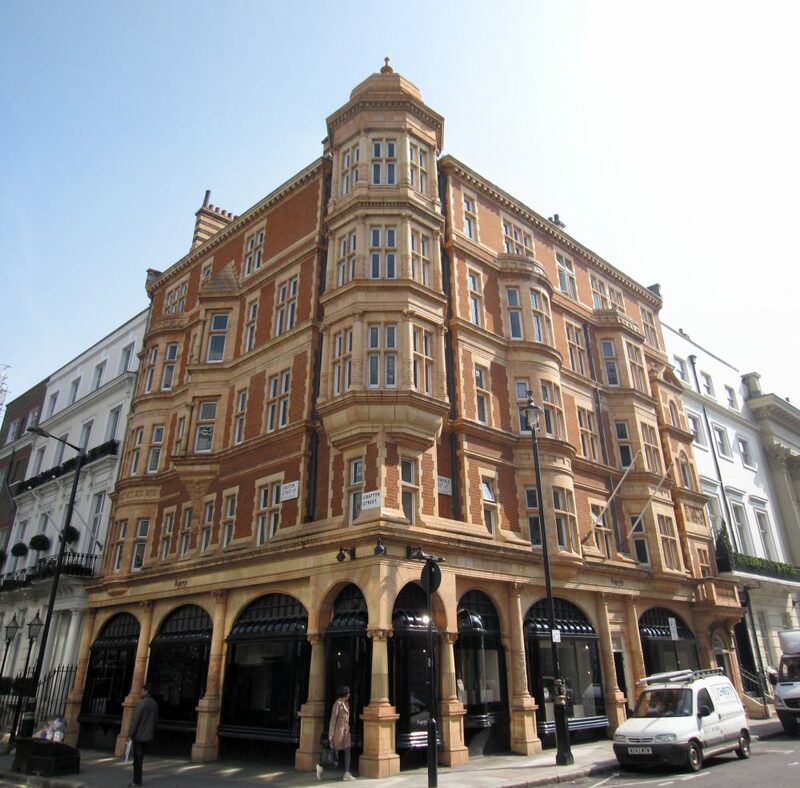 However even Asprey sometimes can go through miscalculation of sales like many other stores. After two weeks into the private collection show, only a few women accepted the invitation and purchased a few handbags. Until one day a visiting Middle East Princess responded to the store’s invitation, requested the store to close the doors to the public and purchased 12 of the most beautiful handbags, I would say one for each month of the year. The private collection was a great success and the store employees can rest assured their jobs will be still there one more year. It would be hard for the salespeople to come down from that high pedestal if the royals and wealthy didn’t shop there anymore. Hey, if we have to dream, let’s dream big. Happy 2015 all the way through and I wish many beautiful things will happen to you this year. Ciao. (Excerpt from PBS T.V. station). You are so right Paula, that’s true just about everywhere else as well, except for the Middle East people. They seem to be the buyers of these extravagances. Happy New Year.